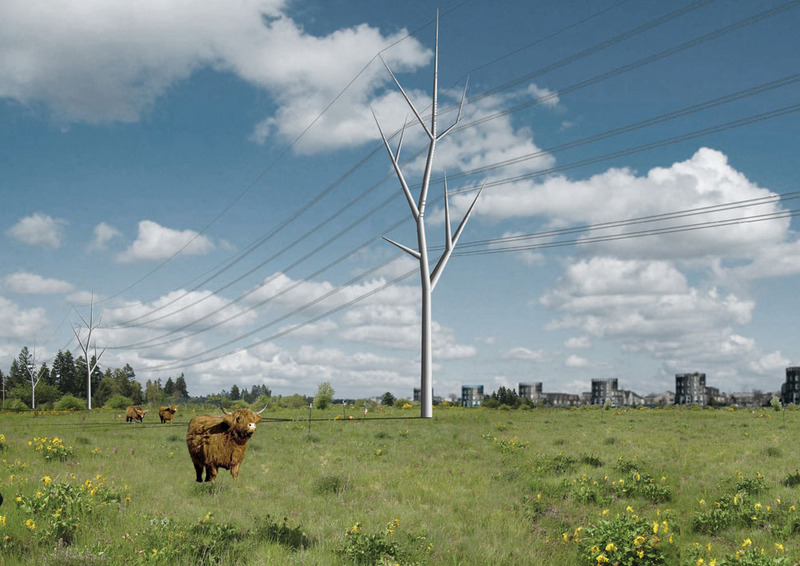 In the Netherlands, the land in proximity to the high voltage grid is subject to considerable restrictions, especially in urban areas. Consequently, it may result in a neglected portion of the territory and a physical disruption of the urban fabric where no permanent program is allowed. 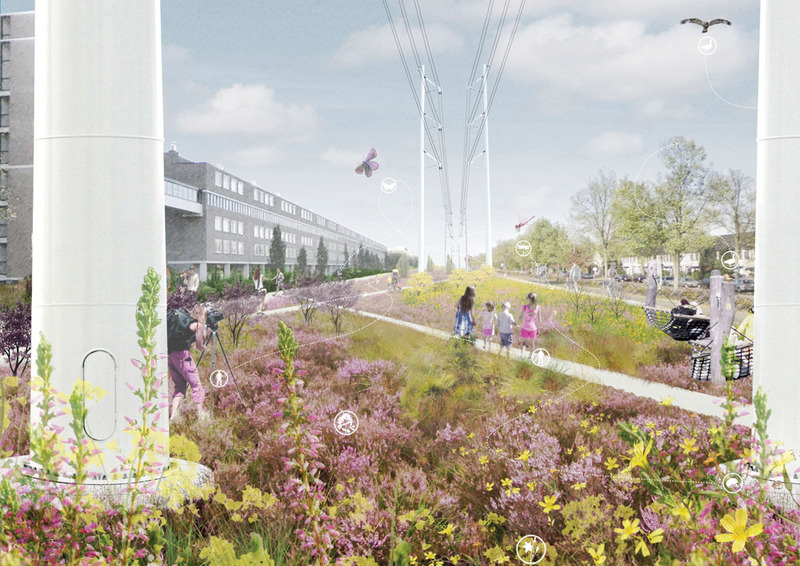 FABRICations took advantage of this underused space to create a niche for biodiversity by creating green corridors in proximity of the high voltage: the Ecological Energy Network. The EEN is not a conventional design, but a strategic proposal for a green network both physically under the power lines and strategically linking power companies to environmental protection agencies and local communities which could benefit from this operation on multiple levels. Firstly, there would be the possibility of eco-systems working together directly. 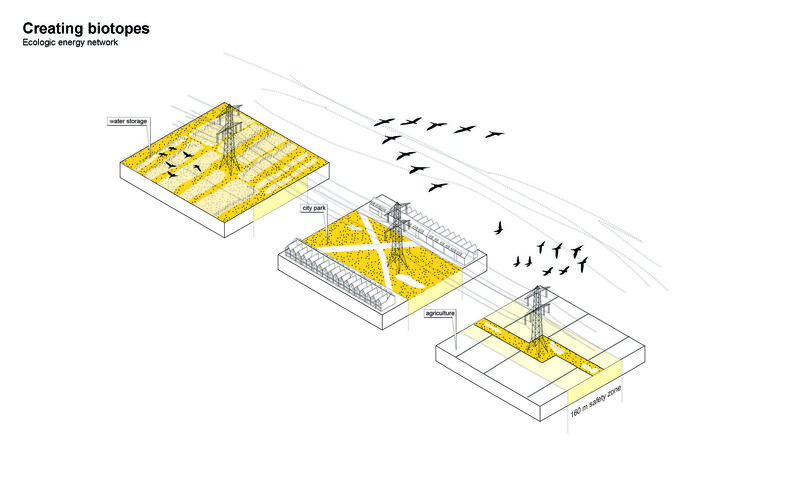 Secondly, the transmission network could connect to urban ecologies, creating space for nature in the city. Thirdly, nature realized under the transmission network could be a destination in itself, with leisure activities and temporary stay zones. 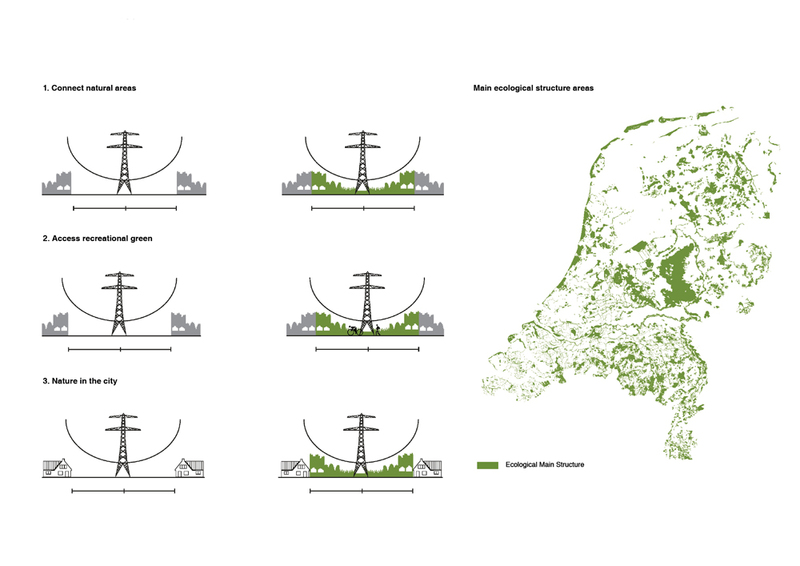 Moreover, the transmission network could become the largest national park in the Netherlands, filling in the missing links in our National Ecological Network (EHS). Energy companies, provinces and municipalities have reacted with great enthusiasm to the concept, and a coalition to realize the first kilometer of Ecological Energy network (EEN) is in the making. In addition, The EEN won the first prize in The Green Architecture Competition. 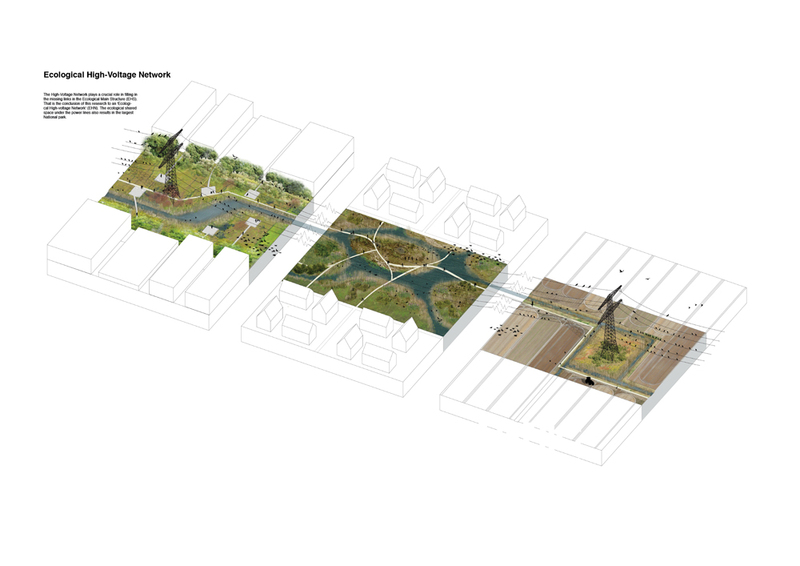 The project is part of a wider analysis on the Urban Metabolism of Rotterdam. You can have an overview of the whole research here.